Hey guys! Sorry long time no post, I've been pretty busy in Japan and I now have mid terms (everything in Japan is super americanised, I have 'papers' instead of essays too now, wut) - plus add in laziness you get a lack of blogging! 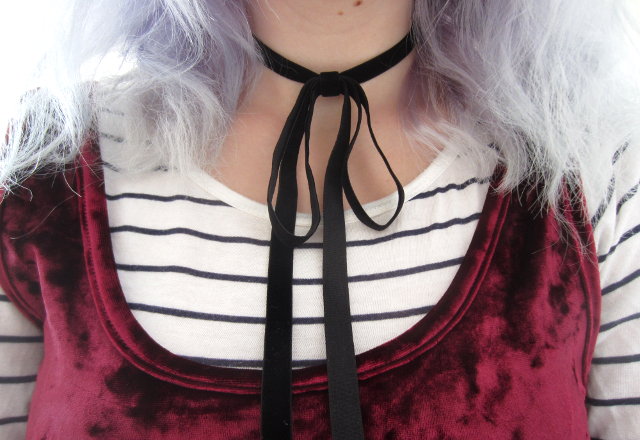 I picked this cute choker up in Harajuku a few weeks ago and it really reminds me of one I've seen Charli XCX wearing in a recent music video, although to be honest you could quite easily DIY one of these yourself with a bit of black velvet ribbon tied around your neck. 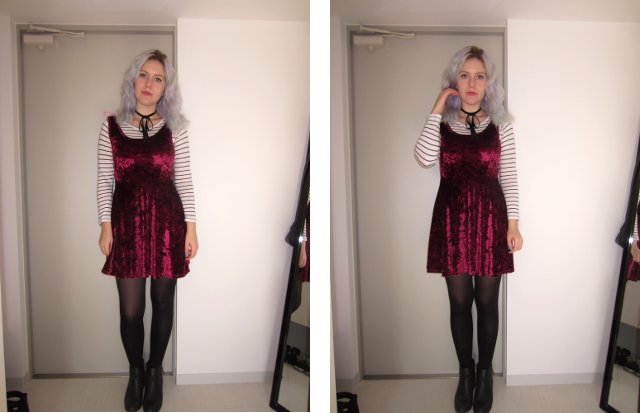 Such a fan of the velvet dress! 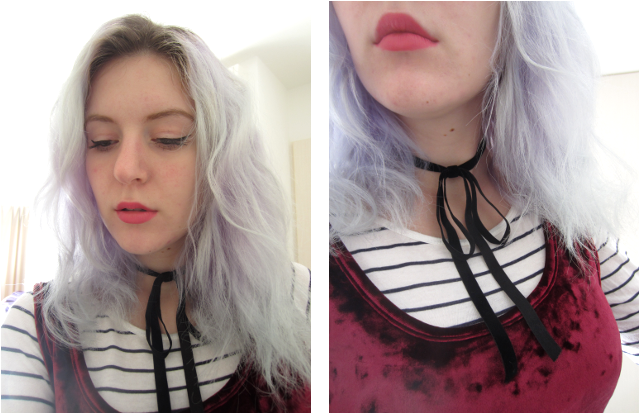 I haven't worn one for YEARS (reminded me too much of my childhood outfits!) but recently got one for my office Christmas party. Hope growing out your hair goes well! Mine is taking forever to grow!!! Love your dress! You look beautiful! I love red velvet! And you hair, super cute!